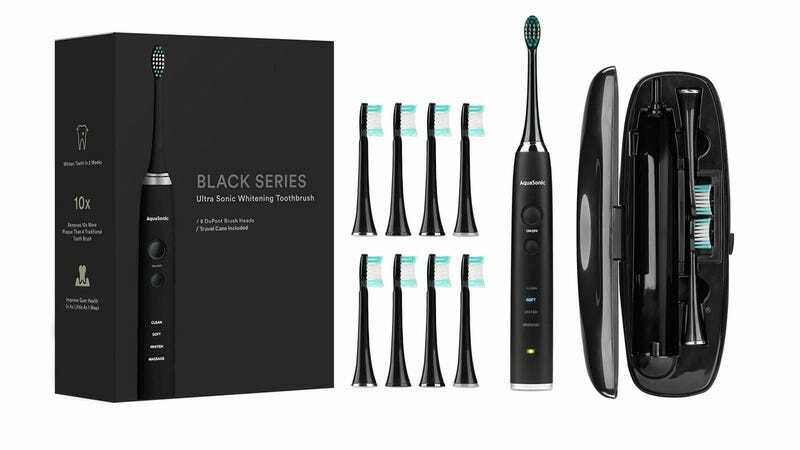 The AquaSonic Black Series Toothbrush uses a 40,000 vibrations-per-minute motor to clean your teeth, improve your gum health, and remove 10x more plaque than a traditional toothbrush. This kit includes a travel case and 8 portable brush heads, and while it’s normally $190, it’s now $33 with code MADNESS15. Full details here.